Alan Alda created this CBS sitcom based on his 1981 film of the same name. It ran for 13 episodes during the 1983-1984 season. Jack Weston starred as a dentist who moves from New York City to Los Angeles with his wife where he faces the ups and downs of life with his family and friends. The Four Seasons, written and directed by Alan Alda, was released in May of 1981. Within ten days had made $11 million dollars (it cost only about $6 million to produce) . By the first week of September it had made an impressive $46 million, making it the fifth highest-grossing movie of the summer . 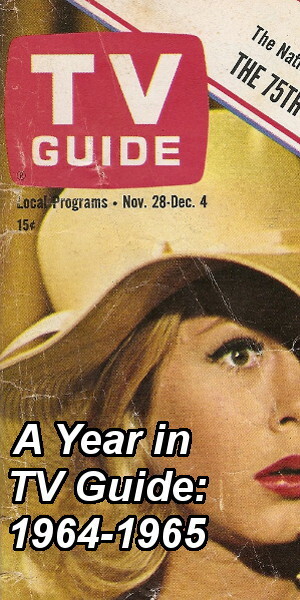 Alda, who also starred in the movie, explained that “like the year, friendships also have seasons. People have to struggle to accept one another. If you get close to people, finally you have to cope with the idea that they tend to be a pain. And either you don’t have friends or just have to adjust your attitudes to the people you want to stick with” . 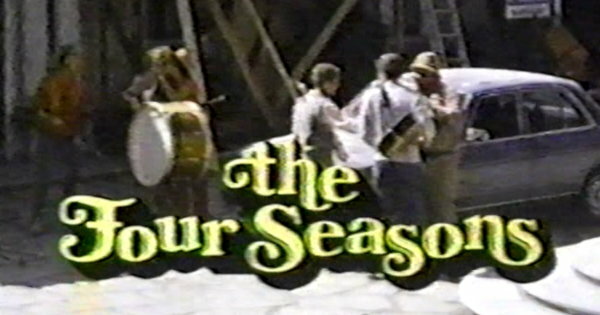 A commercial hit, The Four Seasons was for the most part a critical one as well. Janet Maslin of The New York Times called it “a fond, generous movie about characters who might have easily lent themselves to satire” . Gene Siskel gave the film three and a half stars, complaining only about the “slapstick happy ending” and noting that the “film could have afforded to take itself even more seriously” . The Boston Glove‘s Bruce McCabe, however, wrote that the film is “so smug, safe, earnest and pious that it makes you squirm” and complained that “the characters, their situations and their dialogue are quite exaggerated, hyperbolic and unbelievable” . The Four Seasons focused on three middle-aged couples, all long-time friends, who vacation together four times a year or once each season, hence the title. There were Jack and Kate Burroughs (played by Alda and Carol Burnett); Danny and Claudia Zimmer (played by Jack Weston and Rita Moreno); and Nick and Anne Callan (played by Len Cariou and Sandy Dennis). When Nick leaves Anne for a young flight attendant, the entire group is thrown into disarray. Also appearing in the film were Alan Alda’s daughters Elizabeth and Beatrice as Beth Burroughs (Jack and Kate’s daughter) and Lisa Callan (Nick and Anne’s daughter). The success of The Four Seasons led Universal Studios to consider a sequel and Alda traveled to China for research (it would have been “the ultimate vacation setting”) but eventually the focus shifted to television . Within six months of the film hitting theaters Universal Television had purchased the television rights and CBS had agreed to order 13 episodes, despite not knowing whether any members of the cast would be available to reprise their roles [8, 9]. Alda’s role on M*A*S*H meant that plans for The Four Seasons were placed on hold for quite some time. When production finally began, Alda envisioned the series taking place in New York but CBS insisted on Los Angeles (it was reportedly the only battle Alda lost with the network) . The series was set two years after the events of the movie and saw Jack Weston return as New York City dentist Danny Zimmer, who one day decides he’s had enough of the big city and moves to Los Angeles with his wife Claudia (portrayed in the series by Marcia Rodd) where he’s certain he’ll be able to lead a happier, less stressful life. The two are greeted by several old friends already living on the West Coast. There’s real estate agent Ted Bolan (played by Tony Roberts) who lives with a stunt woman named Pat Devon (played by Joanna Kerns). And there’s Boris Elliot (played by M*A*S*H alum Allan Arbus), a former lawyer who opens a bike shop after heart trouble. 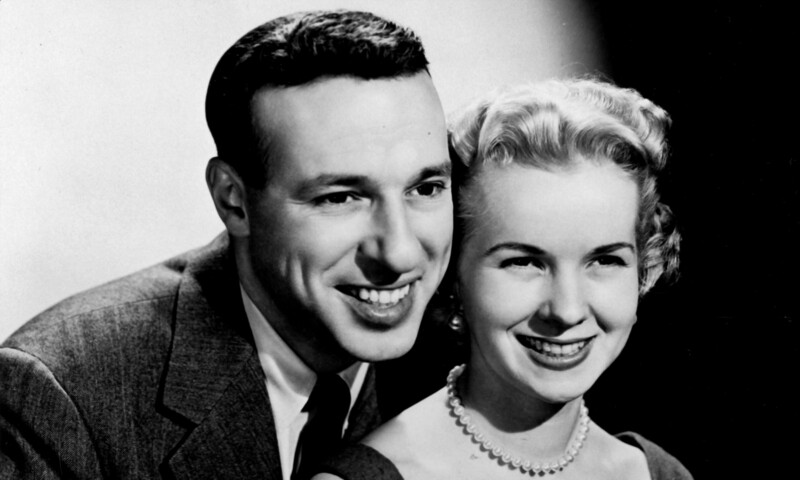 Barbara Babcock played his wife Lorraine, an orthopedist. Of course, shortly after arriving, neurotic Danny already wants to return to New York. Adding to his stress is the trouble he is having getting a California dental license. The special hour-long premiere included a guest appearance from Alda, whose character can’t understand why Danny would uproot his life to move to the West Coast. His daughter Beth (again played by Elizabeth Alda) also decides to pack up and move to Los Angeles. Her friend Lisa (again played by Beatrice Alda) tags along. The two want to be writers. Danny, Claudia, Beth and Lisa all move in with Ted and Pat, who live in a very large house (one that is also for sale). The New York Times reported on December 6th, 1983 that CBS would debut The Four Seasons as a mid-season replacement on Sunday, January 29th, 1984 . 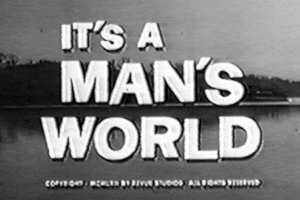 On January 2nd, 1984, Howard Rosenberg lamented the fact that the bulk of the new shows being rolled out by the networks–Domestic Life, Automan, Airwolf and Legman among them–were a “swirl of new old ideas and old new ideas” . He wrapped up his preview with The Four Seasons calling it “a promising note to end on” . When he finally got a chance to see the pilot episode, however, he was singing an entirely different tune. He referred to the cast as “first-rate” but didn’t like the way the episode “immediately hauls out every Southern California stereotype,” noted that the comedy wasn’t funny and criticized Alan Alda’s acting in the episode, stating that he “seems to overwhelm every scene he’s in” . We seem to go through stages in our friendships that are very much like the seasons of the year. First, the springtime, when people are on their best behavior and can do no wrong; then the summer, when we see them a little more for what they are; then the fall, when we realize they have idiosyncrasies that we can’t stand and, what’s worse, they realize we have them, too. And finally, there’s the winter of our friendship, when we have to face the old, hard reality that we have to accept our friends as they are. Preston lavished praise on the pilot, writing that it “could be remembered for a long, long time as the series that dared to be better” and calling Weston and Roberts “as good as TV gets” . Another positive review came from John J. O’Connor, who wrote in The New York Times that the premiere “gives even the beleaguered television watcher cause for optimism” . But not everyone loved The Four Seasons. Liam Lacey, writing in The Globe and Mail in late January, called the series “disappointing when it does what too many TV sitcoms do, when it tries to prove its moral worth by offering up dubious insights gleaned from improbable conflicts” . CBS gave The Four Seasons its network broadcast premiere on Monday, January 23rd, 1984. Six days later The Four Seasons had its special one-hour premiere. Both ranked in the Top Twenty: the series premiere was 7th with a 22.3 Nielsen rating while the movie tied for 14th with a 20.5 rating (it tied with an episode of AfterMASH, of all things) . 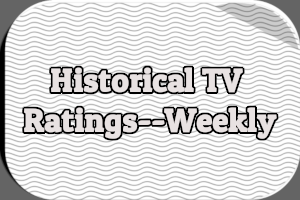 The following week, however, the series fell to 34th in the Nielsen ratings . It was an alarming drop. The next episode tied for 30th . And then CBS, in its infinite wisdom, pre-empted the series for two weeks. An installment of miniseries “Master of the Game” was broadcast on February 19th and Star Wars on February 26th. Two more episodes of The Four Seasons were shown–now airing from 8:30-9PM–on March 4th and 11th, and then CBS put the series on hiatus. Seven weeks later The Four Seasons returned with an episode titled “The Kiss.” According to The New York Times, CBS mailed critics a big chocolate kiss to promote the episode. Included was a press release: “Alan Alda’s “The Four Seasons’ will return to the air on Sunday evening, April 29, with an episode called “The Kiss,” about the sexual fantasies among friends. Share this kiss with someone you fantasize about” . Alan Alda stated that “the network felt that with the competition they were facing, they had to counterprogram with big movies and mini-series. I understand why they did it, but I still think those hiatuses hurt us. People didn’t get a chance to know the characters” . 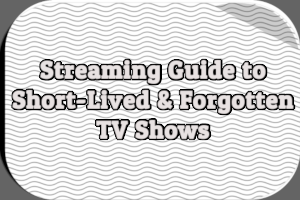 CBS promised Alda that the remaining seven episodes would be broadcast without interruptions. Of the show’s chances of renewal, however, Alda was rather ambivalent: “It’s always better to succeed than to fail but I’m not very nervous about the fate of the show. If it isn’t renewed, at least we had a year of working on something that was truly interesting” . Days later, when CBS released its 1984-1985 schedule, The Four Seasons was one of more than a dozen shows the network had canceled . How “The Kiss” fared in the Nielsen ratings is unknown, but the May 13th episode, the conclusion to a two-parter, ranked 60th out of 61 programs for the week . For the record, the first five broadcasts averaged a a 17.7/26 Nielsen rating, which would have placed the series 24th for the 1983-1984 season if not for the fact that programs that ran less than six times were typically excluded from the seasonal rankings . Each week, The Four Seasons tackled crises both large and small, all revolving somehow around the relationships between the characters. In one episode, Danny’s beloved Mercedes is stolen so the whole group flies out to Las Vegas to try to get it back. In another, Danny lends Ted $15,000 and then proceeds to risk their friendship by pestering him about being repaid. In the aforementioned “The Kiss,” a friend of the Zimmers (played by Jo Ann Pflug) is seen kissing someone other than her husband at an airport, and that leads everyone to share their intimate fantasies. The two-part episode broadcast in May saw Danny and Ted’s friendship strained to the breaking point due to Ted’s remodeling, so Danny moves into a motel room, leading Boris and Beth to come up with a way to get the two friends talking again. Other plots: Ted develops self-esteem issues after seeing Pat perform as a stuntwomen for the first time and worries he’s not quite as brave as she is; Danny goes out of his mind when Lisa gets involved with an older man; the group takes a camping trip to help Danny keep his mind off the results of a dental exam; Ted and Danny offer to look after the bike shop so Boris and Lorraine can get away for a few days; after seeing a therapist a handful of times, Danny begins psychoanalyzing his friends and family. In the final episode (broadcast on Sunday, June 17th, 1984) Danny is again worried about a dental exam and the prospect of finally setting up his new practice. 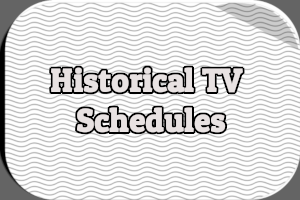 Repeats were shown through July 29th, with several pre-emptions, before the series was taken off the air for good, replaced by repeats of Goodnight, Beantown. 1 Yager, Fred. “Alan Alda Writes, Directs and Stars in “The Four Seasons.” Associated Press. 4 Jun. 1981: AM Cycle. 2 In a September 9th, 1981 article for The New York Times, Aljean Harmetz reported that For Your Eyes Only and The Four Seasons “more or less tied for fifth place with $45 million and $46 million” (“Hollywood is Joyous Over Its Record Grossing Summer,” C.25). 3 Winfrey, Carey. “A Nice Guy Finishes First.” New York Times. 19 Apr. 1981: SM11. 4 Maslin, Janet. “Screen: ‘Four Seasons,’ A Hymn to Ordinariness.” New York Times. 22 May 1981: C11. 5 Siskel, Gene. “Movies: Alda’s clever ‘Four Seasons’ takes a fall only in winter.” Chicago Tribune. 22 May 1981: B3. 6 McCabe, Bruce. “Reviews: Movie, Four Seasons’ Without a Winter.” Boston Globe. 22 May 1981: 1. “’60 Minutes’ and ‘Dallas’ Pace CBS To Big Ratings Victory.” Associated Press. 31 Jan. 1984: AM Cycle. 7 Bianculli, David. “‘Four Seasons’ Has Alda Clout.” Philadelphia Inquirer. 29 Jan. 1984: 4. 9 Stevens, Gus. “‘Seasons’ moves West.” The Tribune (San Diego). 23 Feb. 1984: D.5. 11 Smith, Sally Bedell. “CBS-TV Introducing 5 New Programs.” New York Times. 6 Dec. 1983: C23. 12 Rosenberg, Howard. “The New, New Season.” Los Angeles Times. 2 Jan. 1984: E1. 13 Rosenberg, Howard. “Hovering Over Slash, Bash Season.” Los Angeles Times. 27 Jan. 1984: H1. 15 Preston, Marilynn. “Television Preview: ‘Four Seasons’ weathers well on the small screen.” Chicago Tribune. 27 Jan. 1984: E16. 18 O’Connor, John J. “Alan Alda’s New Series Is Off to a Hilarious Start.” New York Times. 5 Feb. 1984: H25. 19 Lacey, Liam. “TV’s Four Seasons plagued by surfeit of dubious insights.” Globe and Mail. 31 Jan. 1984: P.15. 20 “’60 Minutes’ and ‘Dallas’ Pace CBS To Big Ratings Victory.” Associated Press. 31 Jan. 1984: AM Cycle. 21 Carmody, John. “The TV Column.” Washington Post. 8 Feb. 1984: F12. 22 Carmody, John. “The TV Column.” Washington Post. 16 Feb. 1984: E16. 23 Farber, Stephen. “‘Four Seasons’ Series Returns to CBS Sunday.” New York Times. 26 Apr. 1984: C22. 26 Bennetts, Leslie. “CBS-TV Plans 3 1/2 Hours of New Fall Programs.” New York Times. 2 May 1984: C.25. 27 Carmody, John. “The TV Column.” Washington Post. 16 May 1984: B14. 28 Carmody, John. “The TV Column.” Washington Post. 23 Apr. 1984: C10. The ONLY reason CBS bought the series was because Alan Alda was attached to it; they figured, maybe he could extend a little of that “M*A*S*H” magic behind the scenes and produce a “breakout hit”. They, of course, completely forgot the LAST time he produced a series for them, 1975’s “WE’LL GET BY”, starring Paul Sorvino, which came and went. It didn’t take long for CBS to realize the mistake they made (as they did scheduling a series version of “My Big Fat Greek Wedding” on Sundays a few years back, which had none of the charm of the original), and quietly arranged to “ease” it off their schedule while fulfilling their 13 episode commitment to Alda and Universal Television. However, they did much better with the next Universal TV series scheduled on Sunday nights at 8 in the fall of 1984- “MURDER SHE WROTE”. Well, you can guess what happened to Marcia Rodd. She landed a job on “Trapper John, MD”– a M*A*S*H spinoff no less— as Riverside’s wife. And Joanna Kerns went to Growing Pains.